John Brown has been battling sore hamstrings all season, and recent MRI’s found no damage to the muscles in his legs. After a blood test, Brown was diagnosed with possessing the Sickle Cell Trait, a mutated gene passed on by a parent. The trait can cause pain for those who are physically active; an explanation for Brown’s muscle soreness. Brown thankfully does not have Sickle Cell Disease, which would require both of his biological parents to pass on rather than just one. Sickle Cell Disease affects a persons red blood cells, morphing them into a half-moon/sickle shape. The result of the disease can lead to blood clots, stroke, anemia, or other complicated medical issues. Those with the SCT are cautioned when it comes to playing sports, especially in the heat. The Center for Disease Control lays out the risks of being an athlete with SCT. Some people with SCT have been shown to be more likely than those without SCT to experience heat stroke and muscle breakdown when doing intense exercise, such as competitive sports or military training under unfavorable temperatures (very high or low) or conditions. Studies have shown that the chance of this problem can be reduced by avoiding dehydration and getting too hot during training. Those with the trait are also recommended to avoid higher altitudes, which may affect Brown should he ever have to play in Denver. Falcons running back Tevin Coleman was unsure if he could perform in Denver this season, but was able to receive regular snaps. 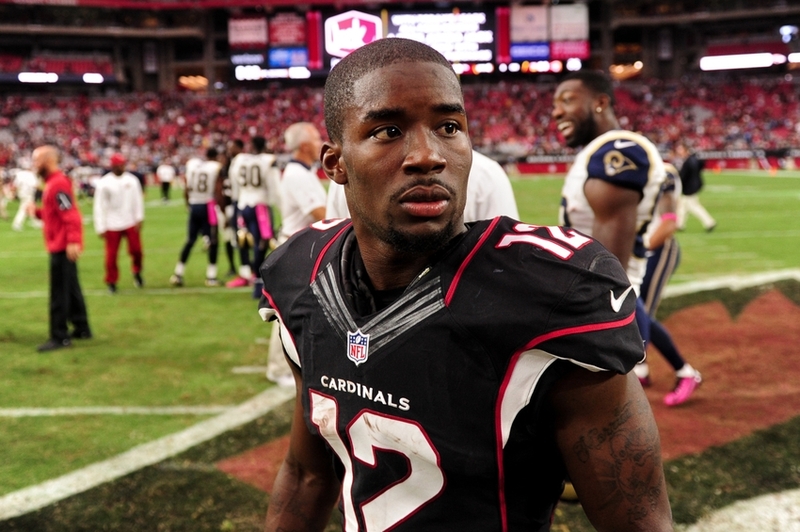 John Brown has seen a dramatic drop in production this season due to his bothersome hamstrings. A season removed from putting up 1,000 receiving yards, Brown has had three games in which he has recorded only one catch. Arizona drafted the speedy receiver in the third-round of the 2014 NFL Draft out of Pittsburgh State. Brown’s status for this weekends game against Seattle is questionable as he recovers from the hamstring soreness.